Leukoderma is a condition where those affected have white patches on the skin. 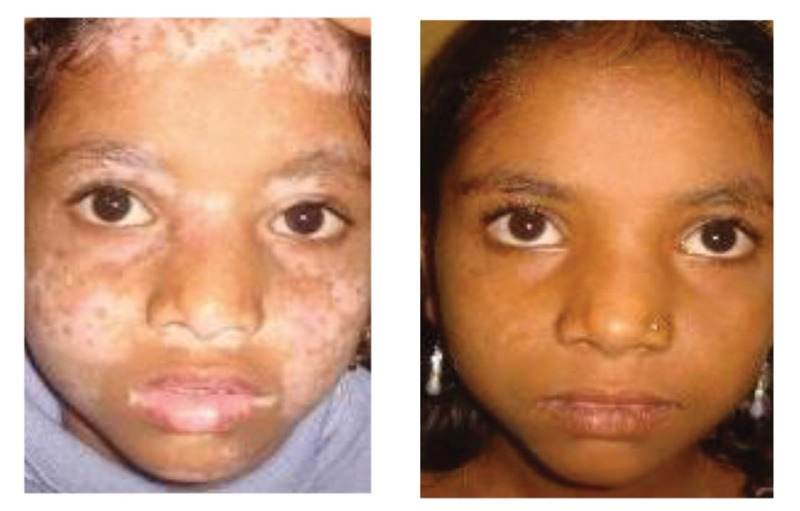 These patches are due to partial or total loss of skin pigmentation. Vitiligo is a specific type of leukoderma. Contrary to popular misconceptions, vitiligo is not just a cosmetic issue, but a serious autoimmune disease, which is psychologically devastating and socially isolating. Although it is not contagious, people often react as if it is. Vitiligo, which affects all races but is most visible in individuals with darker skin, has no FDA-approved pharmaceuticals specifically for treatment, however, excimer light therapy has been scientifically shown to return skin pigmentation with treatments over time.